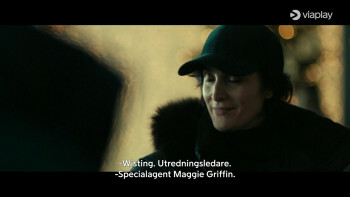 Soni Jorgensen is a Swedish screenwriter with extensive international experience, crossing borders and genres. Jorgensen is particularly known for her skill in balancing drama with comedy and is also passionate about writing thriller/crime. Jorgensen has worked as script consultant for numerous films, including the Swedish box-office hit As It Is in Heaven (2004), which was nominated for an Academy Award for ‘Best Foreign Language Film’ and sold worldwide. In 2015, Jorgensen worked as a dialogue coach on Fox’s TV Show American Horror Story Hotel for showrunner Ryan Murphy (The People v. O. J. Simpson, Glee, Nip/Tuck). 2019 saw the premiere of the feature film King of Atlantis, which Jorgensen co-produced. Jorgensen is also writer for a video game together with director and game creator Josef Fares, for Hazelight Studios and EA. U - July 22 has since its premiere at the 2018 Berlin Film Festival received rave reviews and numerous prestigious awards and nominations. The New Yorker has now joined in the chorus of praise, applauding the film for its one-take concept among else. U - July 22 is written by Anna Bache-Wiig & Siv Rajendram Eliassen, and directed by Erik Poppe. Antti Tuomainen’s Palm Beach, Finland has been shortlisted for The Last Laugh Award in the UK. The award will go to the best humorous crime novel published in the British Isles in 2018, and the winner will receive a Bristol Blue Glass commemorative award. The winning title will be announced during the CrimeFest convention in Bristol, May 11th. Jørn Lier Horst & Thomas Enger’s Death Deserved climbs another placement on the official Norwegian bestseller list for paperbacks, coming in at No. 2 this week. On the hardcover list Jørn Lier Horst & Hans Jørgen Sandnes’ Operation Sable Forest, a long-running bestseller, comes in at No. 5. Simona Ahrnstedt (b. 1967) was born in Prague and moved to Sweden with her parents at a very young age. Besides being one of Sweden’s best-selling authors, she is a licensed psychologist and cognitive behavioral therapist. Ahrnstedt’s rich and captivating character depictions, paired with her provocative and daringly executed plots, breathed life into the now rapidly growing genre of Scandinavian women’s fiction. Alongside her role as novelist, Ahrnstedt is a spokesperson for books by women, for women and about women. The Wolf and the Watchman by Niklas Natt och Dag remains No. 3 also this week on Der Spiegel’s bestseller list for trade paperbacks in Germany. Filmmaker-duo Elizabeth Chai Vasarhelyi & Jimmy Chin, who won an Oscar for ‘Best Documentary’ for Free Solo, are in early talks with Netflix to helm the movie based on Jonas Bonnier’s The Helicopter Heist, starring Jake Gyllenhaal in the lead. Gyllenhaal will also produce the drama with his Nine Stories partner Riva Marker and ACE Content partner Evan Hayes (Free Solo). Peter Thorsboe & Mai Brostrøm are the renowned Emmy-award winning screenwriting duo behind some of the acclaimed crime series at the forefront of the Nordic noir genre (The Protectors, The Team, Modus). Their next highly anticipated project is an adaptation of Jens Henrik Jensen’s book trilogy The Oxen, which will be turned into a two-season series of eight episodes. The Oxen features war veteran and elite soldier Niels Oxen, brought back from retirement to investigate a series of mysterious murder cases along with his side-kick, agent Margrethe Franck. Copenhagen-based REinvent Studios has just picked up the high-end crime series, and SF Studios Denmark’s Senia Dremstrup is producing. Jørn Lier Horst & Thomas Enger’s Death Deserved debuts at No. 3 on the Norwegian weekly paperback bestseller list, heading straight for the top just as it did upon its hardcover publication. Hjorth & Rosenfeldt’s A Higher Justice meanwhile jumps a few placements on the e-book list, coming in at No. 2. Jørn Lier Horst & Hans Jørgen Sandnes’ Operation Sable Forest, the fifteenth Detective Agency No. 2 book, comes in at No. 1 also on March’s bestseller list for children’s books in Norway. This marks the book’s second month at the top. Liza Marklund’s stand-alone novel Black Pearl Farm continues to feature on the Danish bestseller lists and is No. 2 on both Bog & Idé’s and Arnold Busck’s bestseller lists for hardcover crime fiction this week. Bog & Idé and Arnold Busck are Denmark’s two biggest book retailers. Niklas Natt och Dag’s The Wolf and the Watchman stays at No. 3 also on this week’s Der Spiegel’s bestseller list for trade paperbacks. This marks the novel’s fourth week on the German list. Viaplay has announced its green-lighting of the small screen adaptation of Roslund & Hellström’s internationally bestselling series about Ewert Grens. The TV series will be produced by Miso Film, and be based on four of Roslund & Hellström’s novels, starting with Box 21 for the first season. The series will premiere on Viaplay in 2020. Box 21 will be directed by award-winning director Mani Maserrat (Modus, Bad Blood) and produced by Sandra Harms (Modus, 438 Days) and Karl Fredrik Ulfung (438 Days). Screenwriters are Dennis Magnusson (Jordskott, 30 Degrees in February), Stefan Thunberg (Wallander, Hunters 2) and Anders Roslund, author of the books. The cast stars Leonard Terfelt (The Bridge), Mimosa Willamo (Bodom, Karppi) and Simon J. Berger (Modus, Torka aldrig tårar utan handskar). Bobbie Peers’ award-winning short film To Plant a Flag is now showing at the Smithsonian National Air and Space Museum as part of their 50th anniversary celebration of the Apollo missions, including the first Moon landing. ‘The Isle of a Thousand Stars’ is an adventure story about friendship, missing someone, and family secrets that finally come to light.